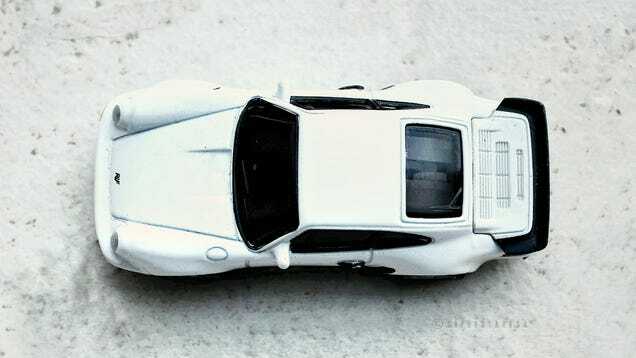 This is a 1:72 scale RUF Turbo 3.3 930 that UCC Coffee gave away in 2011. The underbody is blank so, I do not know who manufactured the casting. But from the features on the body panel, it seems to be modelled after the 1979 model year RUF 930 Turbo. Nothing much to speak about except that the quality matches the fact that it was given away for free. It rides lower in the back than in the front as if the weight of the engine is preventing lift off or something, but this could be a error than a feature of the actual casting itself. But to compensate, it has a functioning pull-back motor. So all is well. And regardless of the lopsided ride, it does look cool from the rear, doesn’t it?